Today is the last day of 2013. Do you already have plans where to welcome the new year? If not that come to the big city celebration on Senaatintori in the heart of Helsinki. Again there will be lots of live music and thousands of people are expected to come. 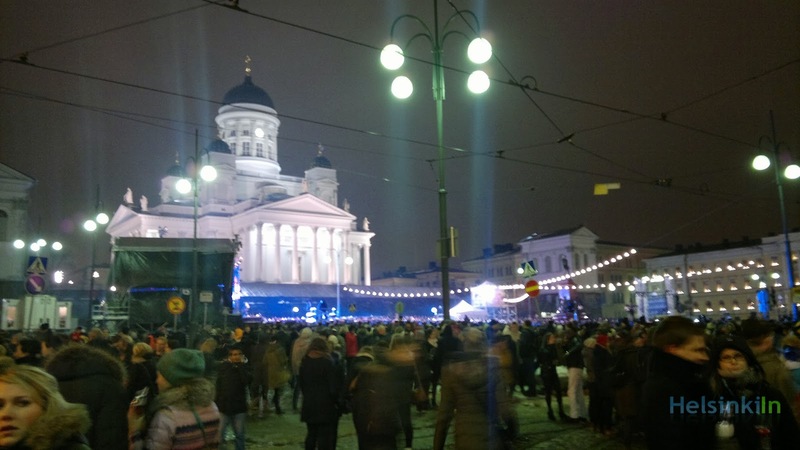 Celebrating New Years Eve at the Senat Square has a long tradition and dates back to 1932. At midnight big fireworks will ring in the new year. The entrance is of course free. Have a great start into 2014! It's Christmas Eve. I met Joulupukki before he got dressed up and started his long journey to bring all the presents to children all over the world. He wishes you all a very merry Christmas and happy holidays! And I of course wish you the same. 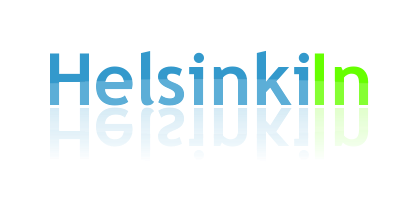 HelsinkiIn will also be on a break during the next days and will be back for you on December 31. 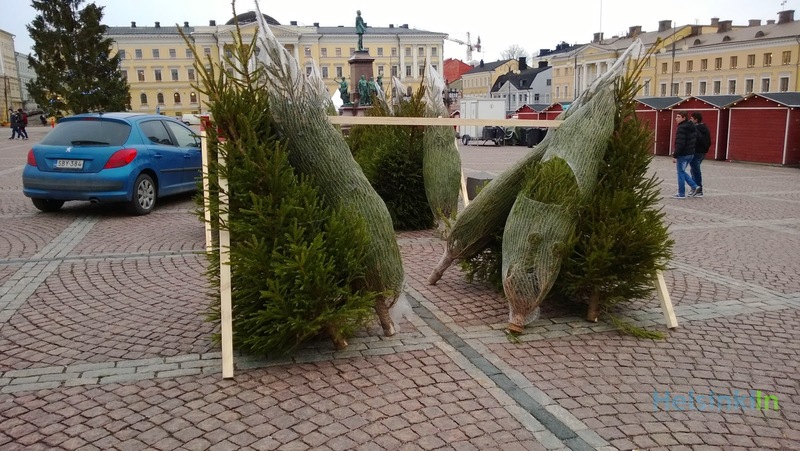 Tomorrow evening Joulupukki (Santa Claus) will put the presents under the Christmas tree. 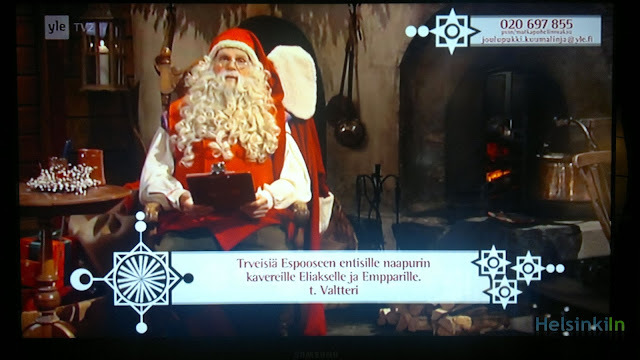 But Joulupukki is a busy men. And so he will already be there for the children in the morning on his Joulupukki Kuumalinja (Hotline) on Yle 2. The show starts already at 8.00 and is one of the most loved and watched in Finland. 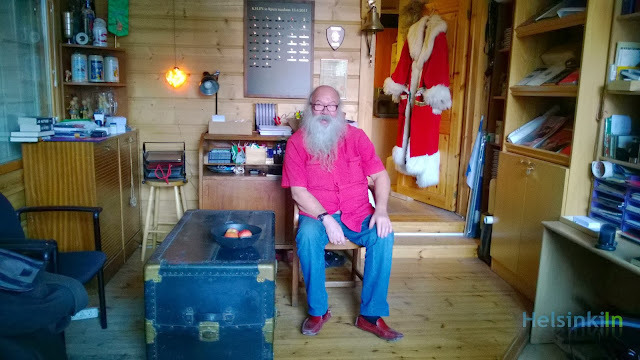 Kids can call Joulupukki, talk and sing with him. And in between short Christmas films are shown. As every year the show ends with the beautiful BBC production of The Snowmen from 1982. No kid should miss it. If you are not too busy with Christmas shopping today you might want to visit the crypt of the Helsinki Cathedral (White Church) and see the "In those days..." exhibition. It is all about cribs from Italy. Many beautiful exhibits are on display. At the same time you can take a look at the magnificent Crypt of the Lutheran Cathedral of Helsinki. The entrance to the exhibition is for free. It is still open till January 6. More information can be found on the official website. 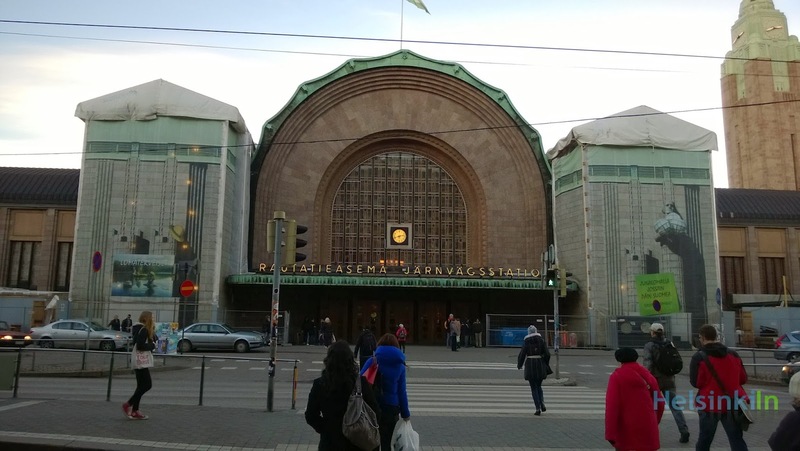 The four stone men at the main entrance of Rautatieasema (Central Railway Station) in Helsinki are one of the landmarks of the city. Since summer they have undergone some huge restoration now. Still they are not visible but should apparently be put back in place pretty soon. So keep your eyes open when you pass the main station and leave a comment if you have seen them or have an idea when they will be unveiled again. Do you already have a Christmas tree? If not maybe you should get one during the weekend. Otherwise all the good ones might be gone already. Christmas trees are sold in many different locations throughout the city. To find the closest to your home check out the sales points of one of the biggest seller Havunen. Part of the Joulumaalima Christmas market in the city center is the international Christmas market. 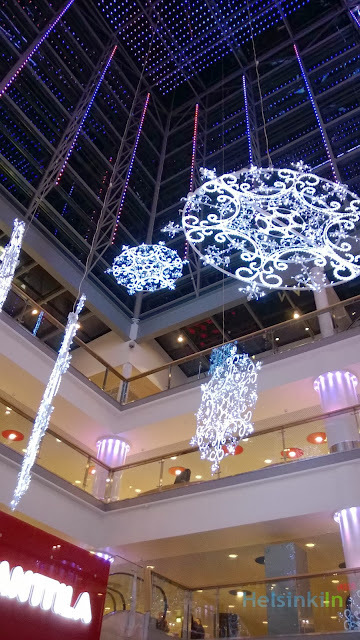 Right in front of Stockmann you find Christmas delights from many different countries such as Italy, France and the UK. Try e.g. some delicious fresh fudge or some Italian chocolate bites. Joulumaalima is still open until Sunday and reopens after Christmas from Dec 26 till Jan 6. And again one month is over. It's December and still there is no snow to see. It seems like we'll have a green Christmas this year. 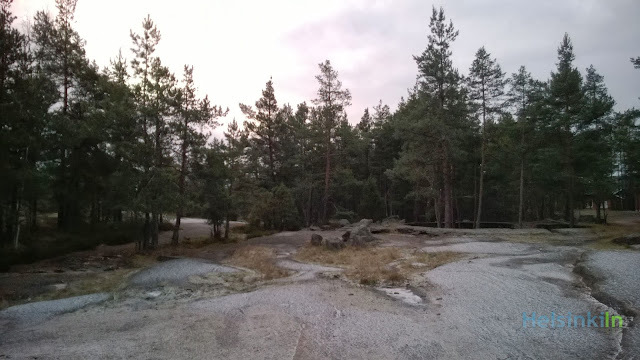 There is something special about car parks in Finland. When you return your payed ticket at the exit you will receive it back. As long as you don't take the ticket back the bar won't open. Especially tourists regularly get confused with this and wonder why they don't get out. 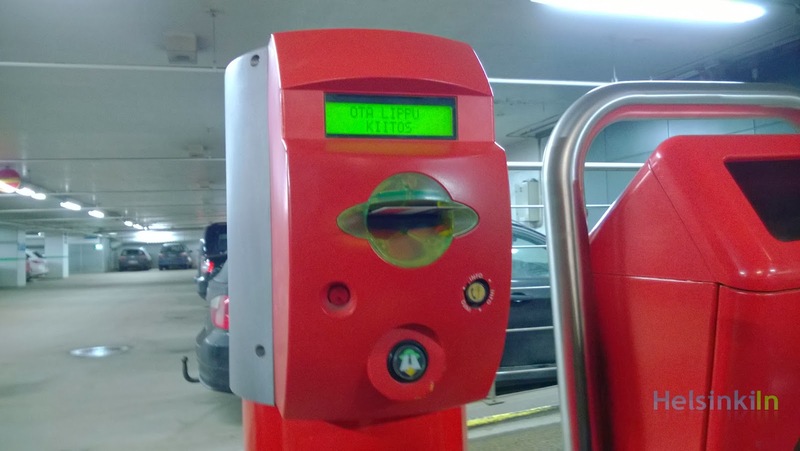 In some cases you will even find a small trash bin next to the ticket machine for the used tickets. During the winter a long blue laser beam shines all the way from Observatory Hill along Kopernikuksentie, Unioninkatu and Siltasaarenkatu. 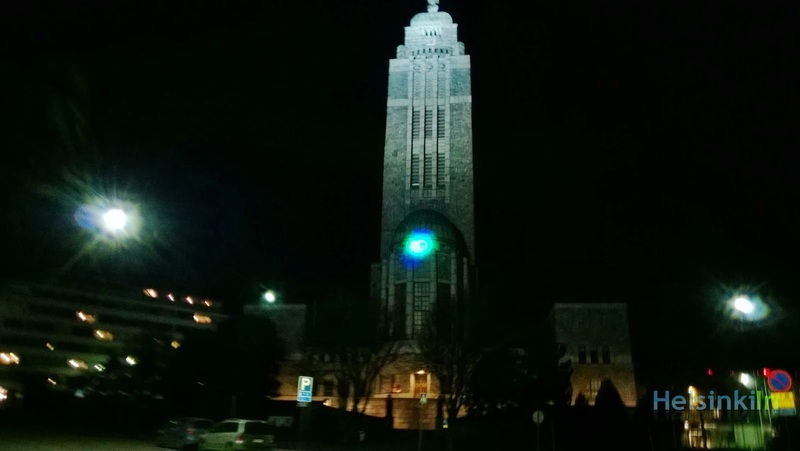 Here you see the blue beam after travelling through Helsinki arriving at Kallion Kirkko. The beam is can be seen every night between 18 and 02:00. Every country has its Christmas traditions. And food is a big part of it. One of the most popular and traditional Christmas candies is Vihreä Kuulia. It's the green version of the Finnish marmeladi and is produced by Fazer. 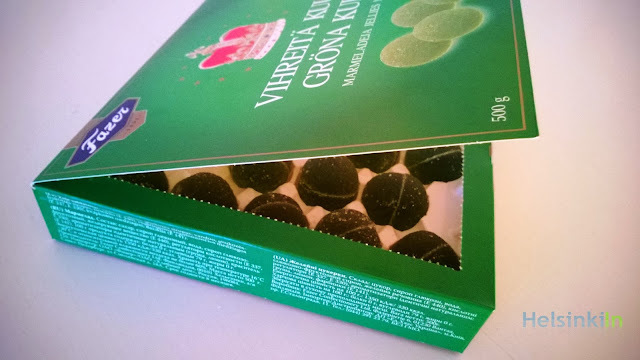 Vihreä Kuulia are green jelly balls with pear taste. 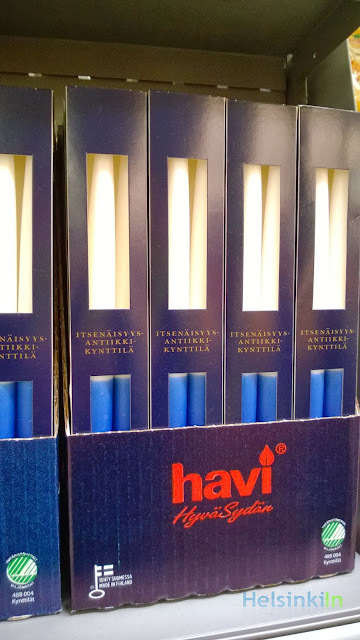 You can find them in almost every Finnish home around the Christmas time. They might not be everyone's favorites but if you haven't had them you should definately give them a try. Sure the temperatures fall below zero from time to time. Still there hasn't been any real snow this year so far. And even in December we mainly had plus temperatures here in Helsinki so far. But maybe the winter just waits a little while longer to strike hard in January or even later. However the weather is where you are right now, have a nice weekend! Do you like Christmas markets? Then you should be looking forward to the upcoming days. 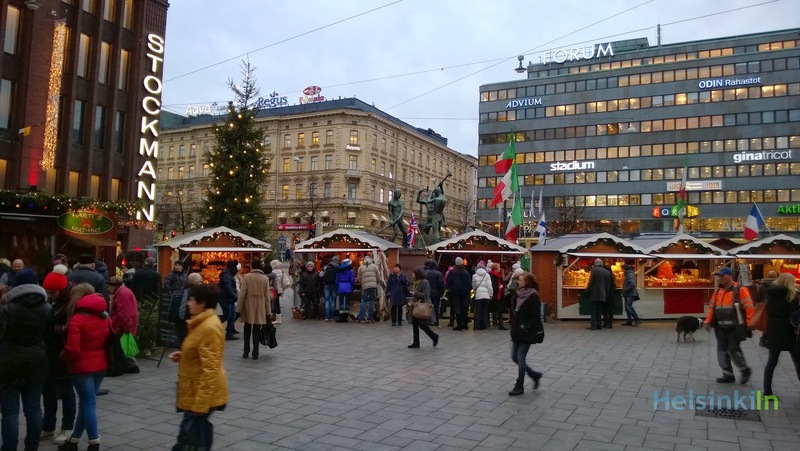 This weekend several Christmas markets in and around Helsinki open. Some just for a few days. Already open since Wednesday is the indoor Christmas market at Vanha ylioppilastalo on Mannerheimintie. Lots of handmade products like Christmas decoration as well as Christmas pastry and other delights are sold here. Today also We Got Beef on Iso Robertinkatu opens their own small Christmas market. Apart from Christmas stuff we can also get really nice Finnish design products here. Fans of culture and design should come to the Christmas market in Korjaamo in Töölö opening tomorrow. The Christmas market is just there for two days. Of course Joulumaailma and the big St. Thomas Christmas market are also open. Have a nice christmassy weekend! Just a few more days or rather nights till Christmas. And you can feel it everywhere in the city. Small lights are shining everywhere and people are running around getting the Christmas present. Don't stress yourself too much and enjoy this wonderful time. The ice rink on Rautatientori is open again. As every winter the Jääpuisto (Icepark) welcomes skating fans and everyone else who wants to have some fun on the ice to come to the big square next to the Railway Station in the heart of Helsinki. 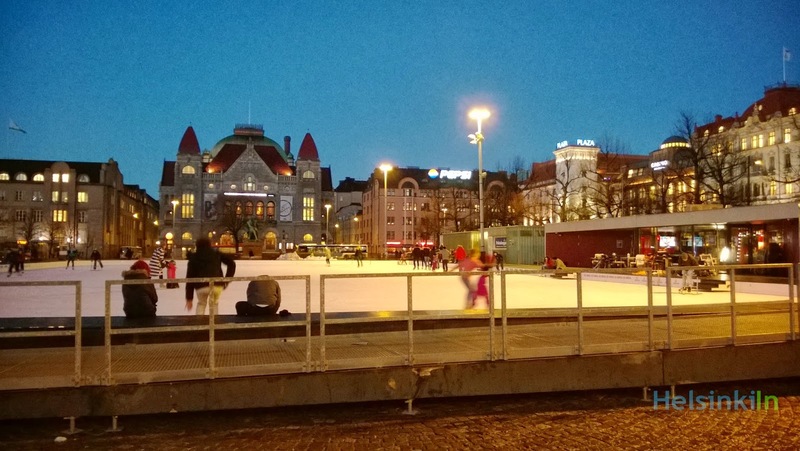 You can either bring your own skates or rent a pair there directly. The day ticket is 6€ (4€ with discount). Series tickets are available as well. The Jääpuisto is open till March every day at the following times: Monday till Friday from 12 - 21:00, Saturday 10 - 21:00 and Sunday 10 - 19:00. For more information and special event visit the official website. The Christmas lights on Esplanadi look wonderful in the dark and long December nights. 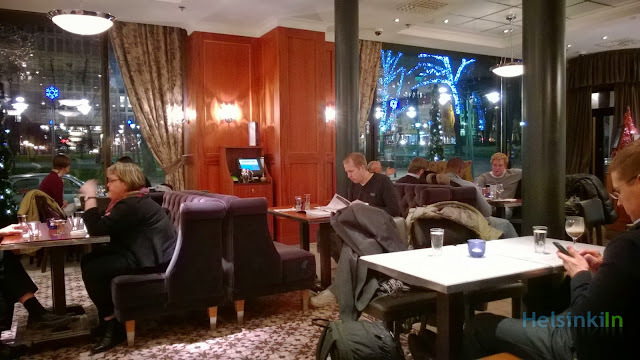 A good way to soak in that really special atmosphere without having to freeze is to come to Café Strindberg. It is one of the old traditional cafes in Helsinki. Even though it just recently moved a little down the street it hasn't lost any of its charm. Big windows allow a perfect view over Esplanadi while inside the cafe combines modern simplicity with classic elegance. Sit down in one of the armchairs or sofas with a glass of hot glöggi and maybe a piece of their fabulous cakes and enjoy the Christmas time in Helsinki. The We Jazz Festival starts today. 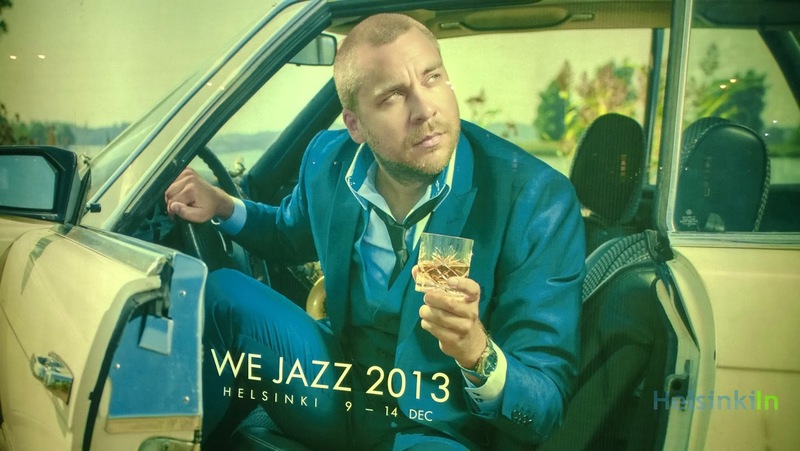 Till 14th December dozens of jazz bands and musicians will be performing in Helsinki. This is a must for jazz fans. Of course there is something for every taste. And even some special events are going to take place like e.g. a 3D concert on Tuesday at Kuudes Linja or a concert in complete darkness on Thursday at Teatteri Kallio. Check out the program now and get tickets for the concerts and gigs you would like to see. Tickets can be bought from Tiketti.fi. As soon as the boats are out of the water at Kaivopuisto the bridge to Uunisaari is put in place again. 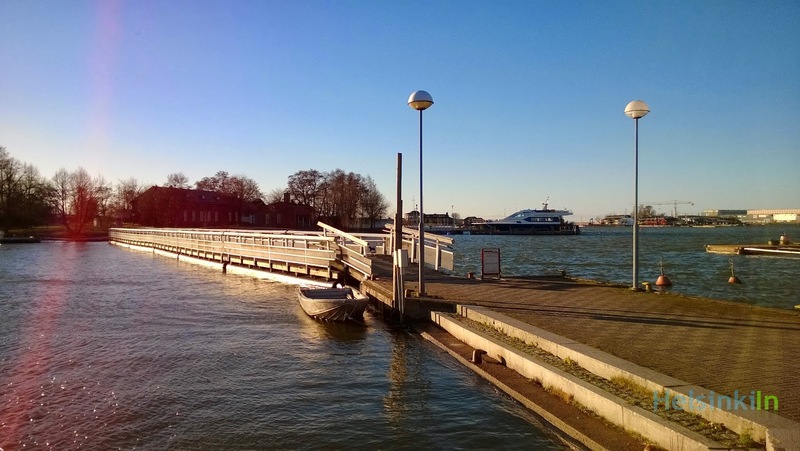 Till spring it is now possible again to access the small island at the coast of Helsinki by foot. Why not go for a nice Sunday walk there today? 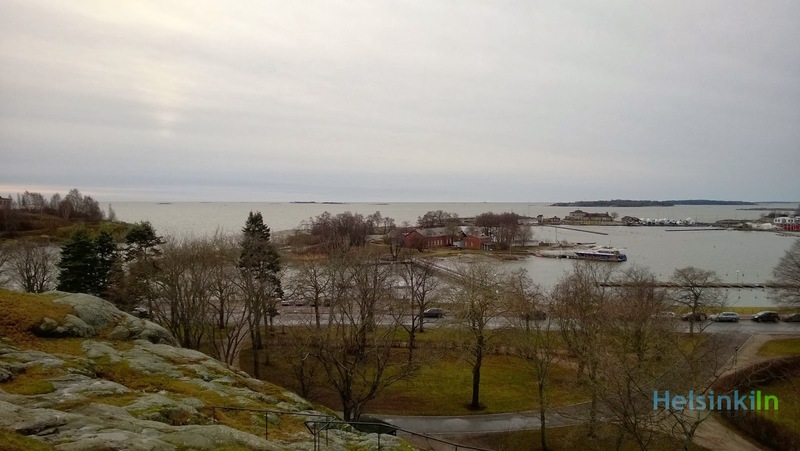 You can also warm up in between at the Uunisaari Café and maybe continue your walk until Liuskaluoto. 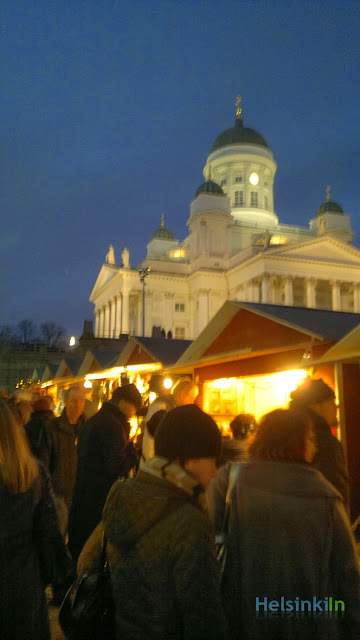 The biggest Christmas market in Helsinki, the St. Thomas Christmas Market, on Senaatintori opens today. Till the 22nd the small huts on the old square in front of the beautiful White Church welcome everyone to stroll around, have a hot drink or snack and maybe find a nice Christmas present among all the wonderful handmade stuff offered. The market is open on weekdays between 10 and 18:00 and on the weekend till 19:00. Wait to go there till it's dark for an even nicer atmosphere. Today is Independence Day. And quite a special one. For the first time ever the big Independence Day celebration that the president invites to doesn't take place in Helsinki. 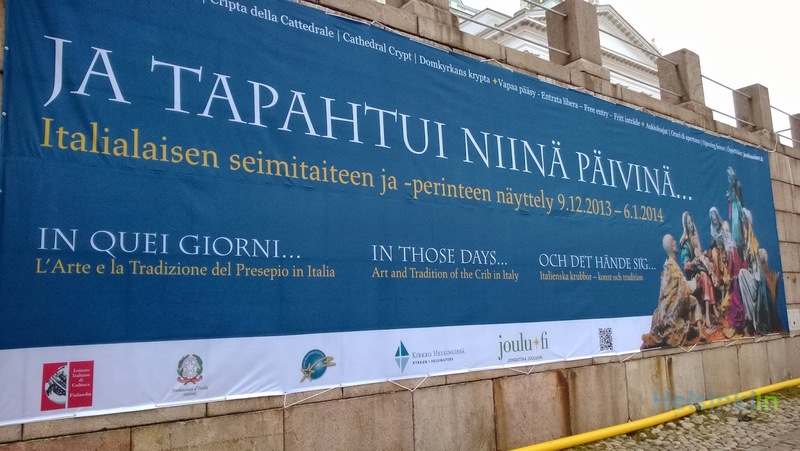 Instead it will be hosted by Tampere this year. The reason is that the presidential palace is under construction. And rather than finding another venue in Helsinki the idea was to have it in a different city for a change. The whole celebration with the welcoming of Finnish stars and starlets starts at Tampere Hall will be broadcast live starting at 17:15 from Yle 1. Don't miss it! On Monday everyone will be talking about it. 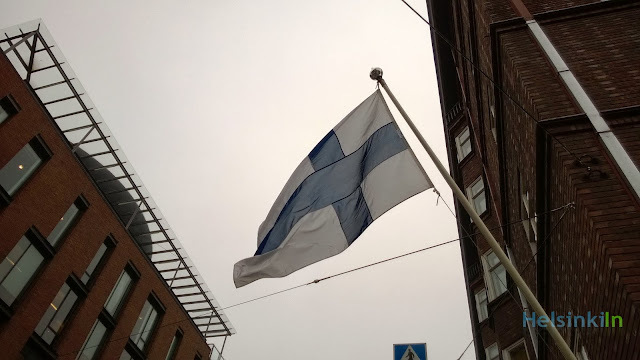 Tomorrow is Finnish Independence Day. On this day Finns celebrate their independence from Russia in 1906 and the birth of Finland as a sovereign nation. I hope you already got everything needed to celebrate one of the most important Finnish holidays. One of the most important items are the two blue and white candles. They are put into the window at night. In times of war those candles invited friendly troops into the house for food and shelter. You should get the candles and everything else you need today since basically everything will be closed tomorrow. Enjoy the day off tomorrow and have a nice Itsenäisyyspäivä! 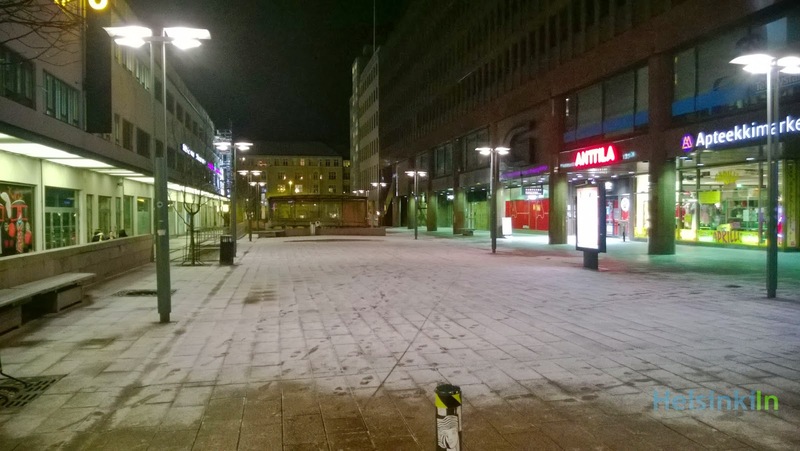 Have you heard of Piparit ja Sinihomejuusto? Maybe you have seen it already somewhere. It is probably the most popular snack during the Christmas time in Finland. For a non-Finn the combination might appear a bit weird in the beginning though. 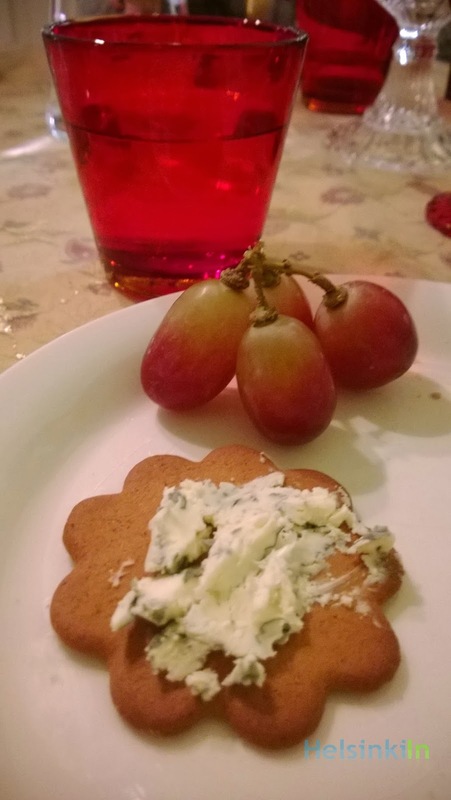 Sweet Christmas cookies are eaten with blue cheese. You can also add some jam on top. But before you now say that this can't possibly be good you should give it a try. Actually it tastes quite delicious. A warm glöggi goes wonderfully with that. During the day the temperatures might still make it over 0 but during the night its already quite cold. In the morning you can see this on the grass in the parks. It might still be time for the thick winter jacket. 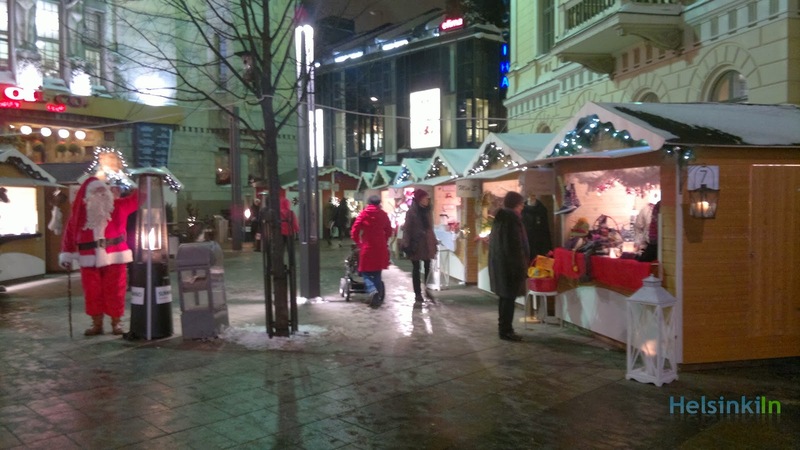 Just in time for the Christmas season the Joulumaalima (Christmas World) opened its small huts and stands again on Mannerheimintie right in the center. 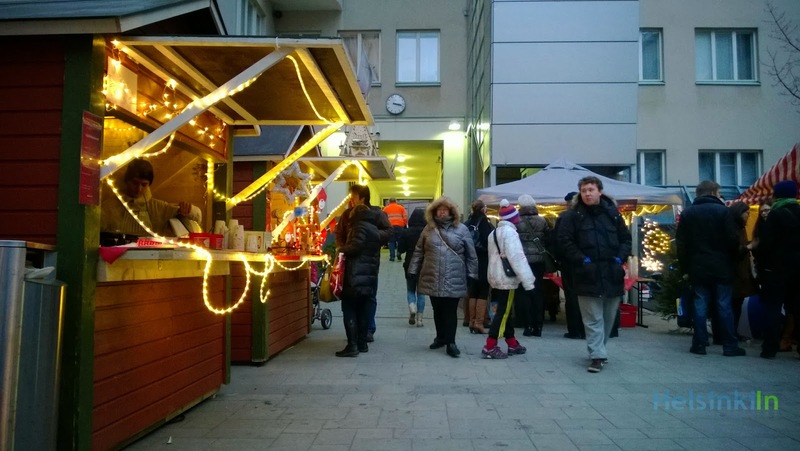 The small Christmas markets will be open for the next five weeks - with a short break during the Christmas days. During this time you can buy nice decoration, hand made products like knitted mittens and cozy hats or some wooden toys. Or maybe enjoy some roasted almonds and some delicious English fudge. Joulumaailma is open on weekdays from 11 to 19:00, Saturdays from 10 to 18:00 and Sundays from 11 till 18:00. For more information also check out the official website. Seems like just in time for the beginning of December the winter is coming to Helsinki. 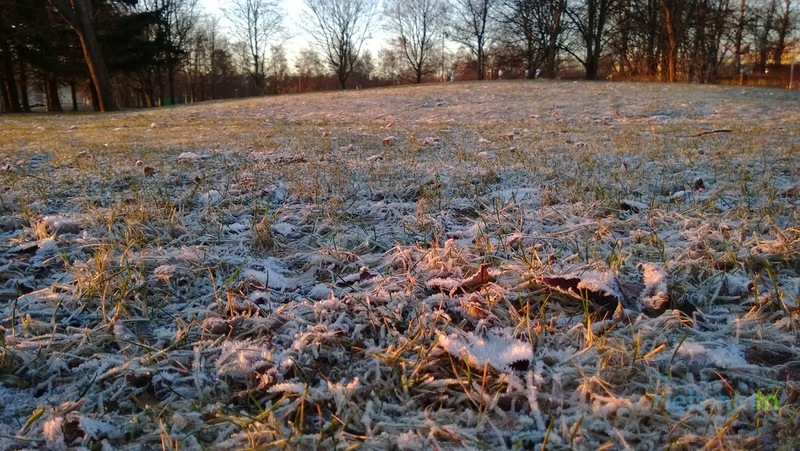 If you have been out last night you will have seen the first snow already. It just stayed during the night though. The day temperatures are still quite warm.